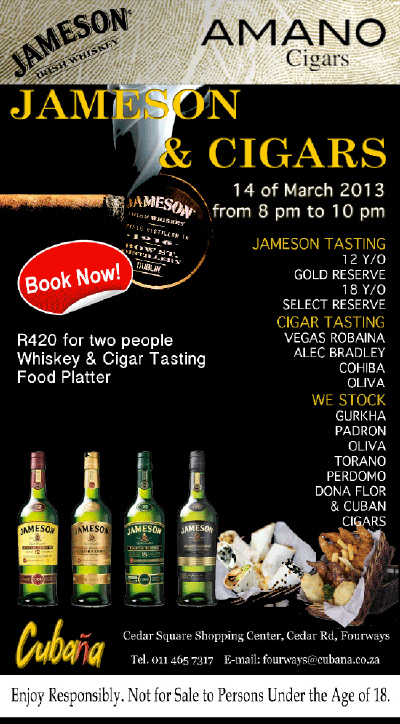 Join us at Cubaña Fourways for an evening of whiskey and cigar tasting. A choice of delicious light meals is also included. Contact Cubaña Fourways directly to make a booking for an unforgettable evening of great cigars and whiskey. We will be there and we hope you are too!